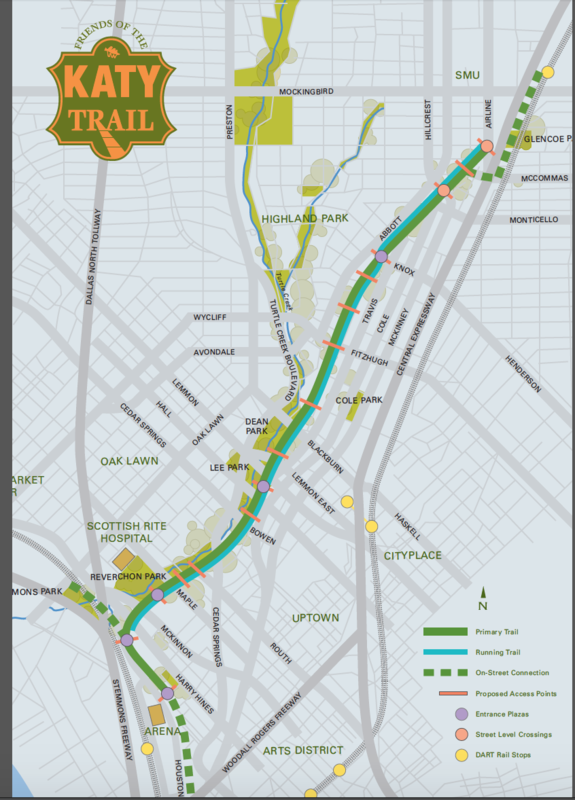 The signature run accessible from downtown Dallas is the Katy trail, a terrific 3.5 mile urban trail that runs west-east between the American Airlines Center downtown and Southern Methodist University at McKinney Ave./Airline Rd., along the old Missouri-Kansas-Texas Railroad path. It is shaded in spots and has good views of the Dallas skyline. It’s very popular, and there are lots of fun places to stop along the way, including a fun open-air beer garden called the Katy Trail Ice House. 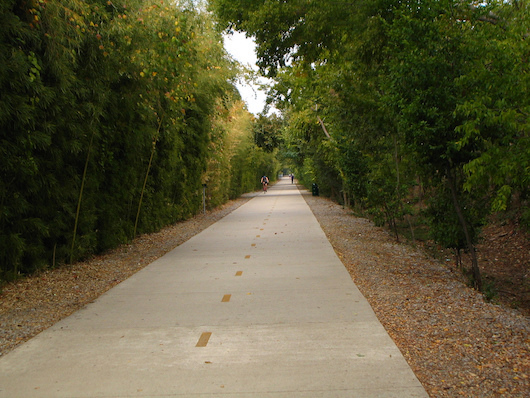 There are separate paths for those on foot and those with wheels, in sections. There are 1/4 mike markers on the trail’s surface. Sun is at your back heading east from downtown. Bonus: The trail is lit! 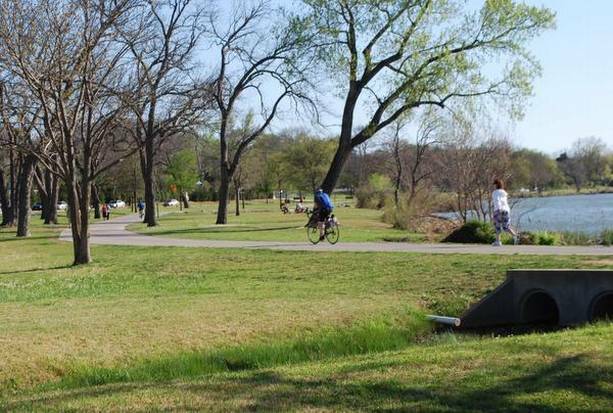 Add-On/Variety: You can add some variety by doing a loop incorporating some of the Turtle Creek trail and Turtle Creek Blvd. Cross points from the Katy Trail are Lemmon Ave., Blackburn Ave., Fitshugh, and Armstrong. Note that Turtle Creek is not as seamless as the Katy Trail — there are road crossings. At the eastern end, there are pleasant residential streets in the highland neighborhood. If you will be downtown, try to stay within a mile of the Katy Trail, which can be accessed from N. Houston St./Victory Ave. and the American Airlines Center at Victory Park. Slight uphill headed in east direction: 150 feet of gain from west to east. West: near American Airlines Arena, Victory Park; East: McKinney Ave./Airline Rd.